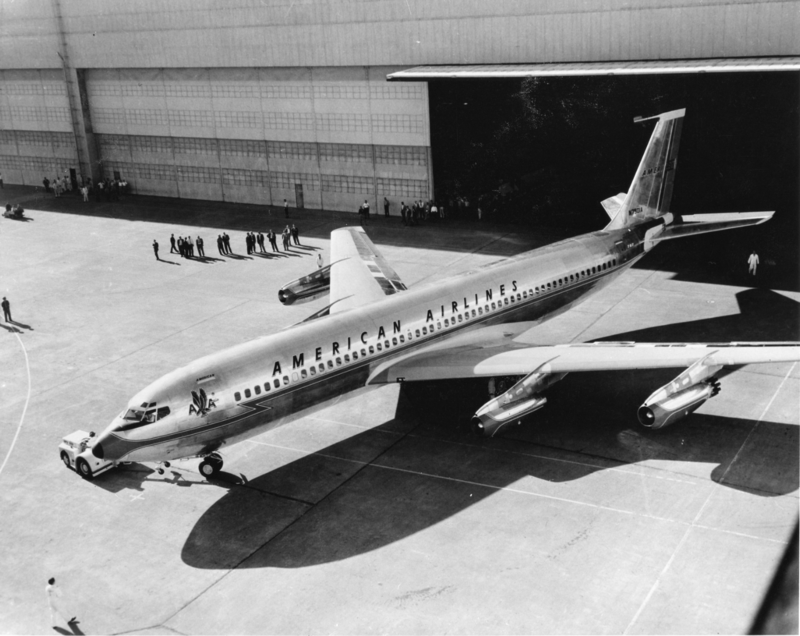 The 707-123 had a maximum speed of 540 knots (1,000 kilometers per hour). It’s range was 2,800 nautical miles (5,186 kilometers). 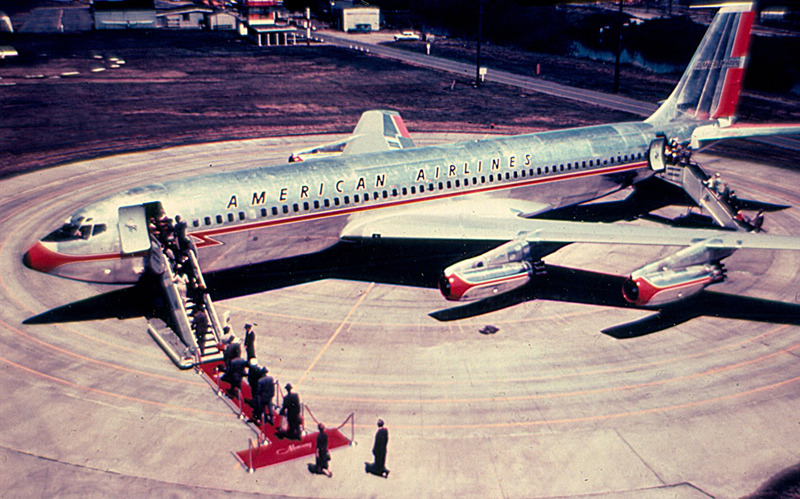 In 1961, N7501A was upgraded to the 707-123B standard. This included a change from the turbojet engines to quieter, more powerful and efficient Pratt & Whitney JT3D-1. The JT3D-1 was a dual-spool axial-flow turbofan engine, with a 2-stage fan section, 13-stage compressor (6 low- and 7 high-pressure stages), 8 combustion chambers and a 4-stage turbine (1 high- and 3 low-pressure stages). This engine was rated at 14,500 pounds of static thrust (64.499 kilonewtons) at Sea Level, and 17,000 pounds (75.620 kilonewtons), with water injection, for takeoff (2½ minute limit). Almost half of the engine’s thrust was produced by the fans. Maximum engine speed was 6,800 r.p.m. (N1) and 10,200 r.p.m. (N2). It was 11 feet, 4.64 inches (3.471 meters) long, 4 feet, 5.00 inches (1.346 meters) wide and 4 feet, 10.00 inches (1.422 meters) high. It weighed 4,165 pounds (1,889 kilograms). The JT3C could be converted to the JT3D configuration during overhaul. N7501A was sold to Tigerair, Inc., 12 April 1978. 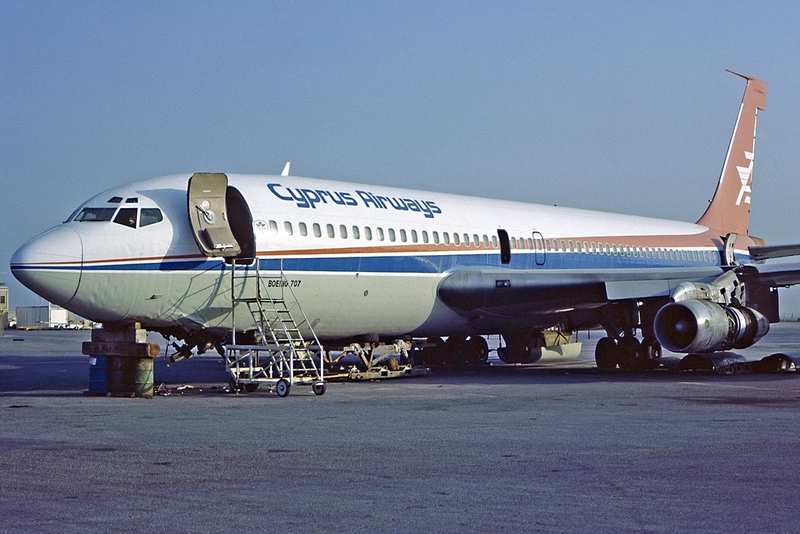 It was then sold to Cyprus Airways in March 1979, and reregistered 5B-DAM. 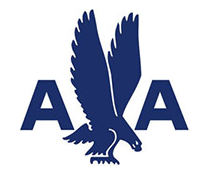 When landing at Bahrain International Airport, 19 August 1979, the airliner’s nose wheel collapsed and it was damaged beyond economical repair. These were not Astrojets until they were re-engined with turbofans. While still short-tailed “water wagons” they were known as 707 Jet Flagships.